Shortly after crossing the Sea of Reeds, the Israelites were attacked by Amalekite marauders at Rephidim. Moses ordered Joshua to muster an army and vanquish the enemy. “Pick some men for us and go out and do battle with Amalek (Exodus 17:9).” The next verse states that Joshua did as instructed. But Scripture does not state who was drafted or on the basis of what criteria individual Israelites were conscripted. The Midrash records two different explanations of the verse, arguably setting forth competing ideas about the primary virtue an Israelite soldier ought to exhibit. Rabbi Joshua interpreted “pick for us” to mean the selection of brave men, while he understood “men” to mean those who fear sin. Rabbi Elazar Ha-Moda’i reversed the interpretations, reading “pick for us” as a reference to sin-fearers and “men” to mean valiant fighters. Though both sages read into Scripture the demand that Israelite soldiers be spiritually worthy and also mentally tough and physically competent, Rabbi Joshua gives primacy to bravery and Rabbi Elazar Ha-Moda’i to godliness. Elazar Ha-Moda’i commented that Joshua’s battalion fasted on the day of the battle, underscoring that not physical strength but spiritual fortitude is what wins Israel’s wars (Mekhilta d’Rabbi Ishmael Beshalach Amalek 1). Torah Temimah suggested that Rabbi Joshua’s interpretation of “pick for us” was an effort to be consistent with other Scriptural passages in which selection for military purposes aimed at drafting elite warriors with martial talent. For example, in advance of the second battle against Ai, “Joshua chose thirty thousand men, valiant warriors, and sent them ahead by night (Joshua 8:3).” Also, in the war between the Benjaminites and other tribes of Israel, the Benjaminite force featured “seven hundred picked men. Every one of them could sling a stone at a hair and not miss (Judges 20:16).” In contrast, suggested Torah Temimah, Rabbi Elazar Ha’Moda’i regarded the war with Amalek as a battle between those “undeterred by fear of God (Deuteronomy 25:18)” and those who bear the yoke of Heaven. The notion that Israelite soldiers should be religiously devout, loyal to the ancestral heritage, and consider themselves engaged in a pietistic act is confirmed by several Biblical episodes. Gideon’s forces were drastically reduced from 32,000 men to 300. All those who lapped up river water with their tongues were conscripted, while those who bent down on their knees to drink were excused (Judges 7:6). The Midrash explains that those who bent down on their knees were accustomed to doing so in the worship of idols, while the minority that behaved otherwise was loyal to the God of Israel (Tanhuma Toldot 19). When Saul did battle against the Philistines, he imposed a solemn oath upon his soldiers: “Cursed be the man who eats any food before night falls (I Samuel 14:24).” Jonathan was nearly executed for inadvertently violating the oath. The rabbis understood the initial Israelite victory over Amalek to be a result of their religious devotion. Though Scripture says that the fate of the war was tied to the physical positioning of Moses’ hands (Exodus 17:11), the sages rejected a simplistic reading of that verse. Rather, when the Israelites gazed Heavenward and subordinated their hearts to the Almighty, they prevailed. In moments when they did not, the Amalekites gained the upper hand (Mishnah Rosh Hashanah 3:8). The Targumim and medieval commentators tended to read into Exodus 17:9 both religious and mundane qualifications for Joshua’s soldiery. Pseudo-Jonathan has Moses instructing Joshua to draft brave men, strong in mitzvah observance, and winners of wars. Rashi understood the qualifications to be bravery, fear of sin, and proficiency in witchcraft as a counter to the Amalekites who were experts in the preternatural arts. Rabbenu Bachya noted that the Amalekites were skilled in astrology and knew to employ in battle only those among their warriors who were not destined to die that year. Joshua was similarly instructed to induct only those destined to live out the year. The textual basis for this odd interpretation is ויחלש “and Joshua weakened the people of Amalek.” He weakened them but, in this view, did not kill them. Alone among the traditional commentators, Ibn Ezra understood Exodus 17:9 in entirely this-worldly terms. Joshua was to draft brave and talented fighters. Ibn Ezra makes no mention of the combatants’ fear of sin or of their spiritual standing. Ibn Ezra’s secular reading of Exodus 17 is consistent with his reading of the Pentateuch’s main pericope detailing the laws of military conscription. Officials addressing Israelite troops were bidden to excuse certain categories of people. Their last exhortation stated: “Is there anyone afraid and disheartened? Let him go back home, lest the courage of his comrades flag like his (Deuteronomy 20:8).” Rabbi Akiba understood the fearful would-be conscript to be a simple coward who cannot bear the sight of an unsheathed sword and who loses control of his bladder upon first exposure to the sounds of war. Rabbi Jose the Galilean understood the disheartened would-be soldier to be afraid that his past sins will be punished by God with a battlefield death (Sotah 44a). Pseudo-Jonathan adopted the latter approach, stressing guilt and spiritual unworthiness as reasons to avoid military service. In contrast, Ibn Ezra explained that the exempt man was fearful of having to strike another man and disheartened by the prospect of being stricken by an enemy combatant. In this view, Scripture is concerned with the basic human instinct of self-preservation and the moral revulsion at committing homicide, and Scripture is not here addressing a young man’s mental calculation about his own worthiness in God’s eyes or the assumed consequences thereof. The tendency of the sages and later exegetes to read religious piety into the Bible is the product of historical circumstance. Ancient Judeans, living in their own land and desiring to secure or maintain national independence, and despite living long before the age of skepticism, would likely have adopted Ibn Ezra’s perspective on these matters. After the demise of the Jews as political/military actors on the world stage, it became natural to reread Scripture through the lens of apolitical religion. 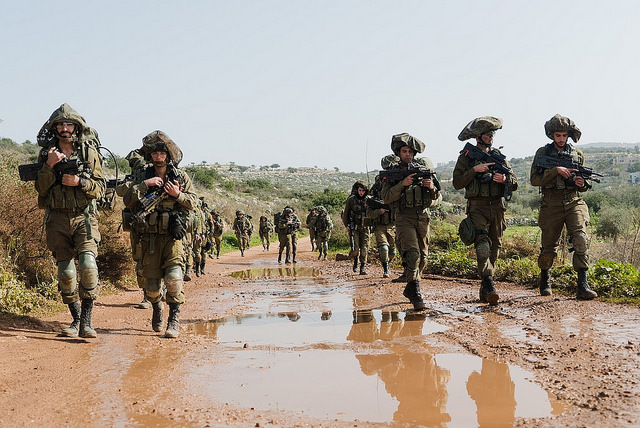 With the rise of modern Israel, the need for the country’s soldiers to exhibit not just personal piety but also proven fighting ability is clear even to the most fundamentalist of Jews. Ideally, the battlefield representative of Israel goes to war with a combination of Judaic fealty, courage, and acquired skills.